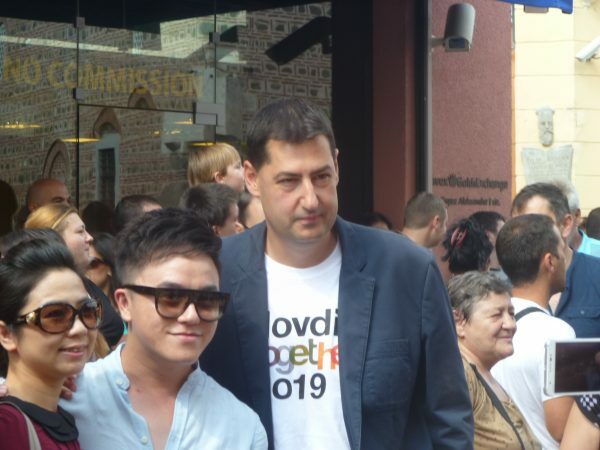 Bulgaria’s city of Plovdiv, named by an international jury as their recommendation for European Capital of Culture 2019, toasted its success with thousands thronging to a 500-metre-long makeshift table in the centre of the city. At the special event on September 13, free wine, provided by sponsors, was handed to all comers to celebrate the victory. 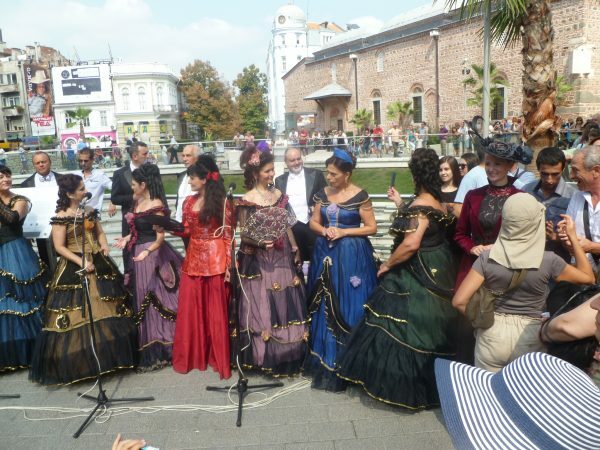 The formal opening of the event by mayor Ivan Totev was preceded by two hours of song and dance performers, while people in period costume strolled the length of the street alongside the table, which stretched from near the Military Club to the Roman Stadium. 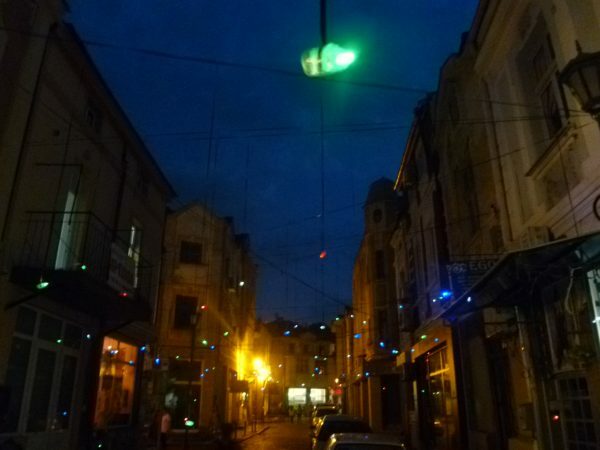 Totev told the thousands, his message relayed by loudspeakers along the boulevard that Plovdiv now boasts is the longest pedestrian zone in Europe, that “there are few moments that remain in the history of a city that speak for decades, and we are lucky that we live in such a time”. “Today, we are all gathered here to congratulate ourselves on something that is so great that I am pretty sure we have not realised it yet,” Totev said, paying tribute to the team and volunteers that worked on the bid and thanking all the cities that took part in the race, “who were our competitors, motivated us to do our best, to exert more and more effort to be the winners”. He said that the Roman Stadium had been chosen for the celebration because “it is known that in the games, prizes were not awarded for second or third place”. Totev’s speech, rounded with a toast of “Наздраве!” (to your health, Bulgaria’s traditional toast) was followed by a performance by the State Opera Plovdiv of an excerpt from Traviata: Libiamo ne’ lieti calici – “drink from the joyful cup”. Overhead, a specially-arranged drone camera recorded proceedings from aloft, drawing the interest of hundreds of phones and cameras and some toasts from those celebrating, who also wished it good health. The celebration came as Plovdiv was holding its annual Night of the Museums and Galleries, which in turn attracted tens of thousands to the city on September 12 and 13. 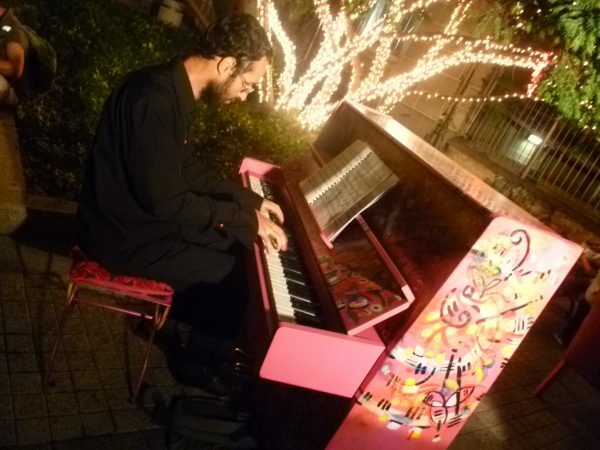 The 10th Night features 120 events involving 500 artists. As to the Capital of Culture 2019 process, threats by some in the Varna bid to challenge Plovdiv’s victory were dealt a blow when local media quoted a representative of the European Commission as saying on September 12 that there was no evidence of a conflict of interest in the choice. 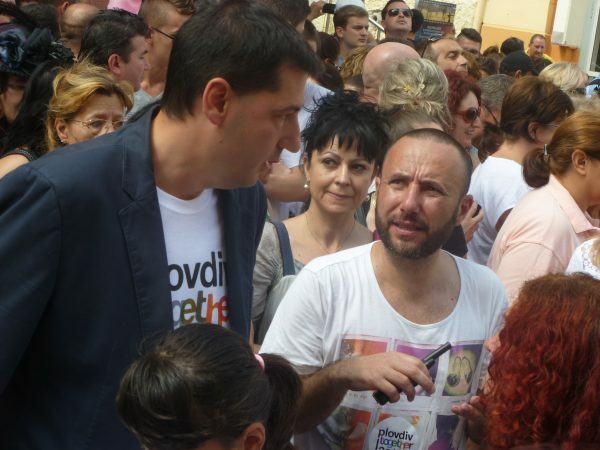 This followed statements by Varna that it could mount a challenge because the main co-ordinator of the competition was the mother of an employee of a magazine that is involved in cultural events in support of Plovdiv’s campaign. 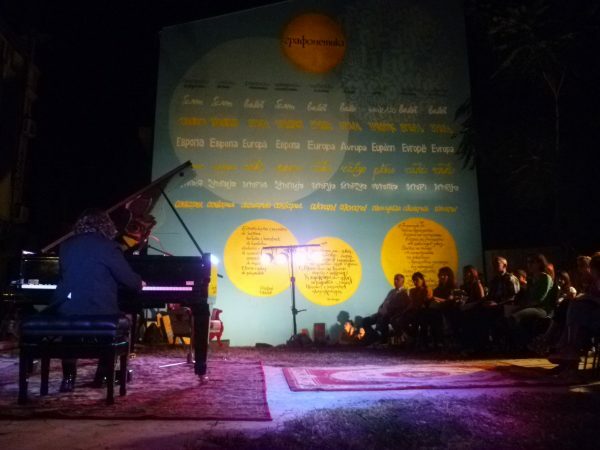 The European Commission representative said that the competition was organised by Bulgaria’s Ministry of Culture and at the ceremony to announce the winner, the Commission had thanked the ministry for its excellent work. The person referred to in the statements from Varna had been an observer at meetings but had no opportunity to intervene in the discussions and recommendations of the independent selection panel, the European Commission representative said. Plovdiv deputy mayor Stefan Stoyanov dismissed the objection, raised at a news conference in Varna, as “frivolous”. The jury had chosen Plovdiv after a very serious race that lasted more than a year, and during which no one had contested the competence and honesty of the jury, Stoyanov said. 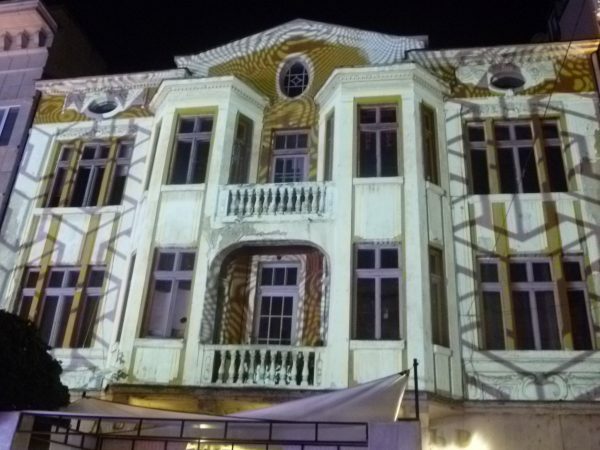 The Drama Theatre in Plovdiv, illuminated during a projection as part of the 2014 Night of Museums and Galleries.